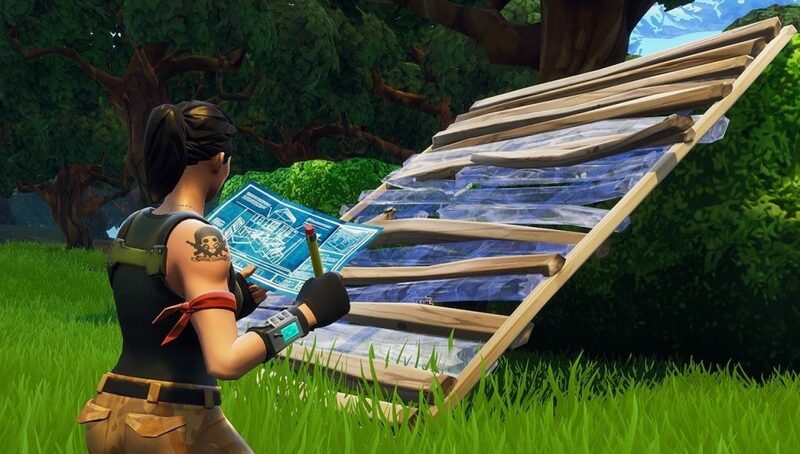 Does Fortnite need to add new options for wall edits? Wall editing is one of the most crucial parts of high-level Fortnite. How people edit walls in crunch situations can often be the difference between survival and death. Right now you can edit a wall into a wide variety of different shapes. Windows can be placed in the middle row to give players a peek. Doors can be placed on the bottoms, usually to fake out opponents. Other than that players can edit diagonals, half walls, and arches. Still, there are some other edit options that aren’t available but may make sense for Fortnite to add. Reddit user Fedolicious posted three new possible edits that could something unique to the game. Below, I’ll talk about what situations those edits could be used in. Starting with the top. The double door is really interesting because it inherently confuses your opponent. Right now, the two options after editing a door are going through it or going over it. By adding another option most pros would default to this design because it immediately forces your opponent to consider one more option. The L wall is reminiscent of old Call of Duty. Those games loved to have a semi-crumbling wall that players could duck behind and snipe from. This wall could work in the same way and may be the preferred choice of someone sniping from the high ground. The rounded wall would obscure a player better than the clean diagonal. The top wall is a bit interesting. For a while every wall design had to touch the floor but the arch changed that. Still it would look a bit weird to just have a floating top of a wall and I can’t think of a situation where it would be practiculary useful. What do you think? Would you use any of these wall designs?